Wishing you all Happy Valentines Day. Hope everyone has a wonderful day. I will be working but i am excited about it. Its the first day open at our new location. Happy Valentine's day to you all too. I've been trying to catch up on layouts too Danielle. I haven't scrapbooked in months. Cards have taken over my thoughts these days. Finally got a few cards done! Now off to play with my next new favorite thing - wood! My LSS just got a new vendor that provides wood for mixed media and fun home decor. I'm working on some Easter eggs decor pieces now. I am going to spend the day cleaning and purging my craft room. I plan to concentrate on buying more stamps, inks, and card making stuff this year. I need to make some room for it all lol. Thats always fun Andrea! I love organizing/purging to make room for more New stuff just as much as actually using it all. I love finding fun things I forgot about! Aaaah I'm so far behind!! Darn internet was down for over a week...hope to catch up tomorrow! Here are a couple cards I made the last week. Hi Kayla. I was wondering where you've been! Got another one here ... I need to step it up a notch with making my baptism cards! I watched and sorted through a ton of you tube videos to learn to properly color with my distress inks. I still do not have it perfected but i learned a ton of things. Many videos i watched several times till i had it right. Just keep watching and trying. You will get there. I found it easiest to look up videos using the exact brand i was using. I dont know what kind of pencils you are using. there are so many and they tend to work differently. well I did my first color with that card. I am use American craft pencils that I got form Christmas. Maybe I just don't know what I'm doing but I can't color with regular colored pencils. It always looks...streaky, I guess is the best I can describe it. I don't worry if my shading is in the right places or anything like that. I just try to keep it consistent and maybe nobody will notice too much. I dont color with regular color pencils either. I know there are nubs and solutions for blending them. I prefer water color pencils and the distress ink water coloring. Just using the water is much easier. I am still working on what colors blend best together and placing the right shadows. Yeah it seems like too much rigmarole. I just want to get it colored. It takes long enough as it is lol. I have some water color pencils and chalk one but don't know how to use the. where do you buy your stamps at andera? I buy all of mine online at different sites. i can pm you some suggestions. Simon was already out of the misti. I ordered one straight from her. I hope it does not take forever to get. Either way I am excited to try it out. here I color this. but just don't know what to do with it. I think it came out good. Nice Danielle, it looks good! danielle did you use a blending solution? it looks good. by using a blending solution you wont see the lines of the colored pencils. I think someone in your other thread said they used baby oil and a blending stump. Menards has some great deals on a cricut expression and a cricut explorer ... I looked them both up on you tube and I know I don't want the cricut explorer because it requires us to be online at all times when using it but what I want to know is if the expression is a great tool to invest in. I don't have internet connection at all times so I don't want to have to rely on computer to be able to use my cricut if I do decide to get one. I don't have an electronic cutter. danielle, that turned out great! 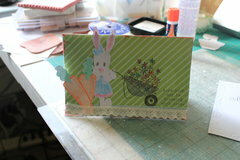 it would look cute poped up on a small canvas with fun paper and title work as an easter decoration!! Good idea, Stephanie. I'm no help, I have lots of things that I don't know what to do with. Andrea, I got my MISTI!! Love it!! Very easy to use. I think the thing I like most is that if I stamp too light I can ink it up and stamp it darker and it gives such a nice crisp image. I think it's worth it. Kayla, I have the original Cricut along with about 15 cartridges. I've had it for many years and I think it's a great tool to have for scrapbooking. 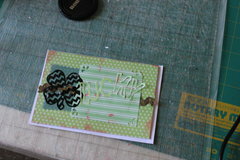 I use my Cuttlebug more for cards but still use my Cricut for other projects and scrapbooking. I mostly use mine for the fonts and titles for my pages. I love that you get a nice selection of sizes to cut. The cutting blade seems to last a long time before needing to be replaced but the mats lose their stickiness a little faster. Check google out, there's some tutorials on how to wash the mats and add your own glue to be able to reuse them. I've always done that and it works well and saves a lot of $$. Lisa thats what i was so excited about. I also watched a you tube tutorial on how to use your stamps in a circle. I cant wait to get one. Has any one ever used the simon says stamps ink pads? I have been considering buying some. Kayla i answered your question in your other thread. I have a cricut explore and an imagine. the imagine was a huge flop. My explore still works great. I rarely ever use it though. I prefer my manual die cutter. I can use it with no power or internet. 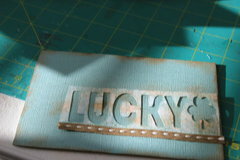 I can emboss and cut. Yes i dont have as many image choices but honestly i dont use half of what is on my cartridges. I am also not a fan of provo crafts customer service or business practices. They have released many machines and then just stopped supporting them to move to their next idea. I would really do as much research as you can before deciding. Cricut is really starting to move to all online content. So you will be able to buy older cartridges but may not be able to get new releases. 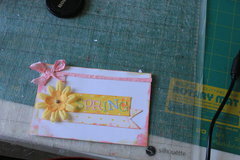 Andrea the MISTI is also great for the large background stamps. 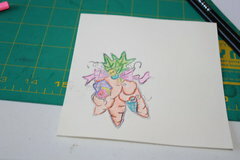 I found a tutorial that shows how to convert the rubber mounted stamps to cling but it looks a little time consuming. Will try that when I get the chance. I must be feeling a little cabin fever these days with this aweful cold weather. I've been making a lot of bright scenery cards lately. Come on spring!! when I checked my email I already had a shipping notice from her. I hope to get it next week. I see this tool causing me to buy more stamps lol. I wish I had some more wood stamps. I did another stamp and color it. I think it turn out good just have to put it on a card. I wish there was place where you can trade your old stamp and get another stamp. Danielle I have seen some posts around this place where you can join a group that trades stamps. I am not sure where it is at. I will look around and let you know if I find it. I really like the clear stamps or the rubber cling. I dont own a lot of wood stamps. I dont have the space for them. So I went and checked out the Misti on-line. I went to TAP Plastic and spent $12 and made my own Magi (maybe a goofy idea). There are no graphs and I have to tape down my work, but it works pretty good. I will still check out the Misti when it becomes available at a show or store near by. Maybe you could make one out of a hardback book. Cut out some middle pages and glue the front pages together. Maybe I should just go take a nap. Danielle I thought there was supposed to be a stamp swap but I can't find it anywhere so I don't know where it went! That TAP plastics is a cool place. I needed an acrylic block long enough for some 12" border stamps that I won, but couldn't find any. I went there and they cut one for me and it works perfectly. I get all my stamp blocks there, and my Cuttlebug plates too. Andrea, how did you cut the grass on your card, is it the lawn fawn hills die? Just got some new stamps, off to play!! Stephanie i did not have grass on a card. I am guessing you meant lisa. I did not want you to think i was ignoring your question. Have a great time playing with your new stamps. I have a whole list of ones i want to buy. She must be shipping the misti's a lot faster. I ordered thursday and it had already shipped yesterday. I am just excited by being able to repeat and be so straight with my stamping. lol don on the nap. I am sure there are lots of ways to get the same results. Edited by andrea m on 02-21-15 11:49 AM. Reason for edit: No reason given. Prima marketings new water color pencil sets are in the store here. I am thinking of buying a couple and giving them a try. Hahaha oops, you are right. Just saw the "response to" area. Andrea that's great on the fast shipping. You're going to love it. I've been trying a lot of different techniques with it. Things are definitely neater, clearer and getting done faster this weekend. Don that sounds cool. When you get it all done I hope you'll do a video or tutorial on how to make a similar product for less. 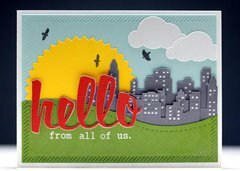 Hi Stephanie, that is actually a die by Lil' Inker Designs called Border Builders. I've been working on a few challenges this weekend. They motivate me. Ok cool, I will have to check it out! I have only seen the lawn fawn one used on Xmas stuff but keepp finding myself drawn to it. I like your use of the lil inkers one. My MISTI came yesterday. Ionly got to play with it a little. I did order some new stamps though. Lisa, I'm glad you love your new tool. Andrea, I hope you like it as much. I'm excited. The CKC expo is here this weekend. It's so much smaller than I remember when I started but I still manage to find plenty. Amy have a blast at the expo. You will have to share what you find. Amy have a blast at the expo. I miss expo they are fun. I always had fun with my mom going to them. Thanks, I will. I always go with my mom too. Andrea, where do you like to get your mo manning stamps? There are so many I want. I got one a couple of weeks ago and while I was looking for more online, I recognized a few that you've used. amy im sending you a pm. Aaah! You're all getting new products to use!!! And I have to sit here and drool!! LOL ... Hope you enjoy them as much as I would. I am thinking about buying some acrylic blocks because I have a couple acrylic stamps that I never use because I don't have the block! What do you prefer, wooden stamps or the acrylic stamps? Definitely acrylic or rubber cling. Acrylic or rubber cling here too. I have a lot of wooden ones but I knew I couldn't keep going that route without massive storage. I use the acrylic more than anything. You know, I think I'm just going to have to throw in the towel accept that coloring is not my thing. I've been practicing again tonight. I've tried colored pencils, markers, inks, paints, everything. I've watched so many tutorials and tried to learn the techniques but I just can't get it to look right. LOL! Those online orders get you don't they? So much cute stuff out there. I wish I could do cute stamps like you amy and andrea. I watch online videos but it hard for me. but I am try to do the color one I think they don't come out that cute. Lisa your cards are amazing. coloring is not for everyone. I think you really have to enjoy the process. If your not into it, it just is not going to work. Like amy said i wish i was better at design and using dies like you do. Amy glad you found some stamps at the expo. Lol for placing a huge online order. I am impatiently waiting for my order to ship. Kayla i like acrylic and rubber cling too. I only have a handful of wooden stamps. I avoid buying them. I prefer my sentiment stamps to be acrylics so i can see the placement better. Danielle my first few coloring attempts did not look great. It took awhile to really get what worked for me and made coloring fun. 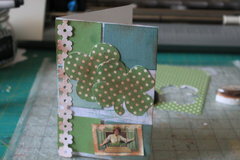 I have the weekend off and hope to play with my misti today and make a few cards. How do you like your Misti Andrea? I'm still loving mine. My stamping has improved a lot. Haven't thrown away one mistake yet. I love it. I have not done a whole lot but what i have is awesome. I love that i can stamp around a circle. I have wanted to be able to do that for years. getting my stamps lined up and being able to stamp perfectly beside other images is amazing. I can see a whole lot more stamping in my future. I also love that i can restamp something if the ink is not right . I have messed up so many projects trying to do that. My Klingon is working great. I may buy a Misti if someone local has it in their store or brings to Heirloom or Expo. LOL! Yes Andrea I'm already looking at new inks too. I thought a few of my pads were defective but it just turns out that it was me all along. Don you're just awesome. Did you say you have a video on your Klingon? I am thinking about buying the whole set of sss ink pads for my b day. I really want more color variety. I have all the th inks but they are not my favorite for stamping. The designer and inventor of Misti has a fb page. she is working on getting a distributor. I know she is shipping faster now that she has a company putting them together. She used to just get all the pieces and then put them together herself. I had mine in a week. well I am finish with my one card I think it came okay. Hello everyone! I'm not disappearing on you again. Just thought I would pop in and say hello! I've been busy working on another box of cards for Operation Write Home. My Misti is getting a work out. I made a card with my misti yesterday. I love that thing more and more each time i use it. I did not take a picture of my card. I had to get it in the mail. My niece and I write to each other and I had not written in quite awhile. She got a fortune cookie that said she would get a wonderful greeting from afar. Her mom texted me because my niece said that meant she was going to get a letter from me. So of course i had to get it in gear. I could not let her down. You're a good aunt, Andrea. 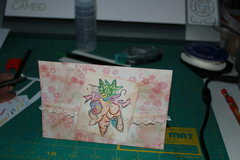 I've just been working on my ATCs. I do have a card I want to make but I'm not sure what I want to do yet. Just registered for my first expo too! I have never been to one, so excited. Taking a card class, hope to learn some new techniques. Have fun! Let us know all about it. My stamps finally showed up. I bought a new 12x12 storage cart to store my stamps. I want to have them organized better.